I’ve been bullish on Amazon.com, Inc. (NASDAQ:AMZN) for some time now. With Amazon stock at another all-time high, that optimism seems justified so far. And with AMZN already up a whopping 32% so far this year, clearly many investors share that positive outlook. But investing is about risk, not just reward. And with the Amazon stock price at levels I did not think were possible so quickly, it’s worth considering just how risky a play AMZN stock really is. Valuation obviously looks stretched, at basically 100x forward earnings, though I’ve long argued against valuing the stock — or any stock — based on a single metric. That valuation can be maintained — as long as investor sentiment stays positive. So it’s worth asking: What factors could change that sentiment? What’s interesting about Amazon stock is that it lacks the underlying fears facing other mega-cap tech plays. For Apple Inc. (NASDAQ:AAPL), concerns of so-called “commoditization” of the iPhone have swirled around the stock for years. Lower ad rates have dogged Alphabet Inc (NASDAQ:GOOGL,NASDAQ:GOOG) at times over the past decade. Microsoft Corporation (NASDAQ:MSFT) looked like a business potentially in decline just a few years ago. For AMZN stock, though, the bearish arguments seem to come down mostly to valuation. There’s little discussion of what could go wrong in the business that could significantly undercut the Amazon stock price. And the good news is it seems tough to find too much in the way of credible, major risks that could impact Amazon’s literally unprecedented growth. There have been calls from some concerns that, particularly in the U.S., Amazon is just “too big.” President Donald Trump has criticized the company several times, in December arguing that the company didn’t pay enough to the United States Postal Service. As Atlantic Monthly pointed out, some observers have questioned whether the business is a monopoly. It pointed to a piece in the Yale Law Journal arguing that Amazon should receive more scrutiny on that front. That’s unlikely to happen. Domestically, the issue — as even the YLJ article noted — is that antitrust law focuses on consumers, not producers. And it’s close to impossible to argue that U.S. customers are suffering. Amazon pushes prices down and adds desired convenience. It’s good for consumers, even if it’s harmful for other retailers. For Amazon to face significant U.S. regulatory pressure would require a massive overhaul of an entire subset of the law — from a federal government that shows no ability to get even smaller changes through. Internationally, there could be more risk. The European Union already has fined Google for favoring its own ads. Amazon’s sprawling reach could lead to similar concerns. But even a fine simply could be passed on to consumers. Amazon’s edge comes not just from lower prices — but its convenience and ease of use. Barring a massive change in how the business is treated, it’s difficult to see how regulators could upend Amazon’s model. As Dana Blankenhorn pointed out last month, there had been a narrative that Walmart Inc (NYSE:WMT) was a real threat to Amazon. That narrative took a major hit from slowing e-commerce growth in Walmart’s fourth quarter, which sent WMT shares tumbling. In the U.S., for the core e-commerce business, it’s tough to see any real rivals beyond Walmart. Target Corporation (NYSE:TGT) is expanding its own “omnichannel” efforts. But it’s not close to the same level: Its revenue in total is about 40% of that of Amazon. Here, too, it gets a bit more interesting overseas. Amazon likely has ceded the key Chinese market to Alibaba Group Holding Ltd (NYSE:BABA) and JD.com Inc(ADR) (NASDAQ:JD). The huge Indian market is up for grabs. If Amazon’s growth slows in developed markets, and it struggles in Asia, investor focus could turn to the potential ceiling on the company’s growth. But that seems a long way off — and ignores just how many new markets Amazon plans to enter in the U.S., in particular. Is Amazon Just That Good? That gets us to what looks like the key risk here. Amazon already has established a presence in markets well beyond its core e-commerce business, between hardware (notably the Echo smart speaker), Amazon Web Services, and music and video content. Its acquisition of Whole Foods Market sent grocery store stocks like Kroger Co (NYSE:KR) tumbling, and they still haven’t recovered. It hasn’t even really entered the healthcare market yet, and already casts a huge shadow. The risk to Amazon stock, then, seems to be that investors might question whether the company really is the sector-crushing giant so many investors fear. In healthcare, for instance, the acquisition of Express Scripts Holding Co (NASDAQ:ESRX) by Cigna Corporation (NYSE:CI) raises questions as to whether Amazon has missed its window. CVS Health Corp (NYSE:CVS) already is merging with Aetna Inc (NYSE:AET), creating another giant who may have the scale to compete. In distribution, Amazon Business looked set to topple incumbents like W W Grainger Inc (NYSE:GWW). But Grainger has responded — and GWW stock just touched an all-time high. Even in cloud, Amazon remains the leader, but Microsoft and Google appear to be gaining ground. A lot of the positive sentiment toward Amazon at the moment is coming from what it could do in the future. B2B services. Medical distribution. Checking accounts. That’s the narrative most at risk. If Amazon’s reputation changes from category-altering competitor to unfocused dilettante, the Amazon stock price will take a major hit. We’re not at that point yet — or close. And I see enough to keep AMZN stock at current levels, at least. But if Amazon’s rivals start winning a bit more, that could change in a hurry. Those rivals might be the only thing that could stop Amazon stock. If that’s the case, Amazon very well may be unstoppable. 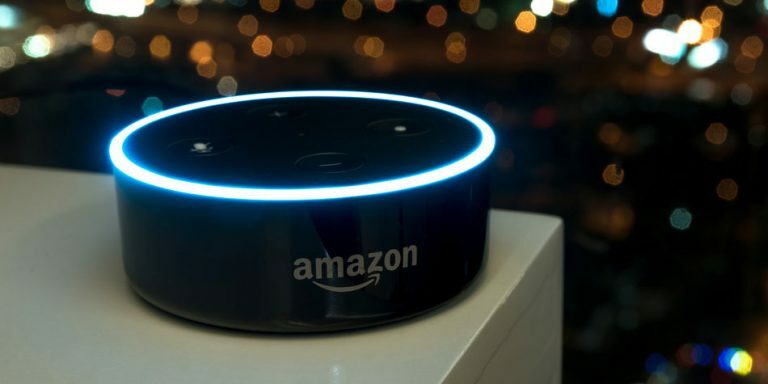 Article printed from InvestorPlace Media, https://investorplace.com/2018/03/what-could-end-rally-amazon-com-inc-amzn-stock/.